The Jimmie Heuga Legacy Foundation for MS (JHF) promotes Jimmie's legacy and supports programs which continue Jimmie’s philosophy of living better with MS. The Foundation provides grants to organizations which further Jimmie’s pioneering research on treatments and care for MS. The Foundation is a 501(c)(3) charitable organization. JHF was created in 1997 to ensure longevity in financial support for Jimmie's vision. It was the inspiration of Waldon (Brock) and Evalyn Byers, long-time supporters of Jimmie and his fight against the devastating effects of living with MS. The Jimmie Heuga Foundation continues to grow under the leadership of the Board of Directors and principle funders to the organization. JHF is also focused on promoting the Legacy of Jimmie Heuga through permanent reminders of what this inspirational man accomplished in his life. The Foundation produced the documentary film created by Mike Marolt to ensure Jimmie's story continues today. Documentary now available on Amazon Prime. 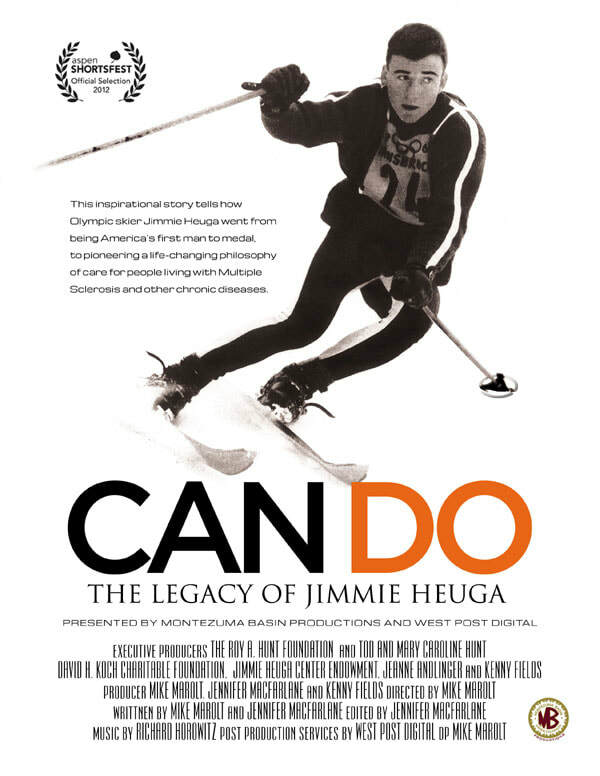 Olympic skier Jimmie Heuga will inspire you in this story of one man’s battle to live with the debilitating effects of a chronic disease. Through his own emotional and physical fight, Heuga pioneered a revolutionary philosophy of care for people living with multiple sclerosis. This amazing tribute shows first-hand the indomitable spirit of the man and those whose lives he transformed on his journey to save himself. To donate to the Jimmie Heuga Foundation, click the link for online gift processing. For more information, contact Richard Neustedter, phone 1-408-307-1871 or by email at richardneustedter@hotmail.com.